Efficiently manage both resident and visitor parking through the concierge dashboard. Capture detailed vehicle information, issue parking passes, and track length of stay for visitors and vendors. Security personnel can monitor parking pass validity and issue violations. 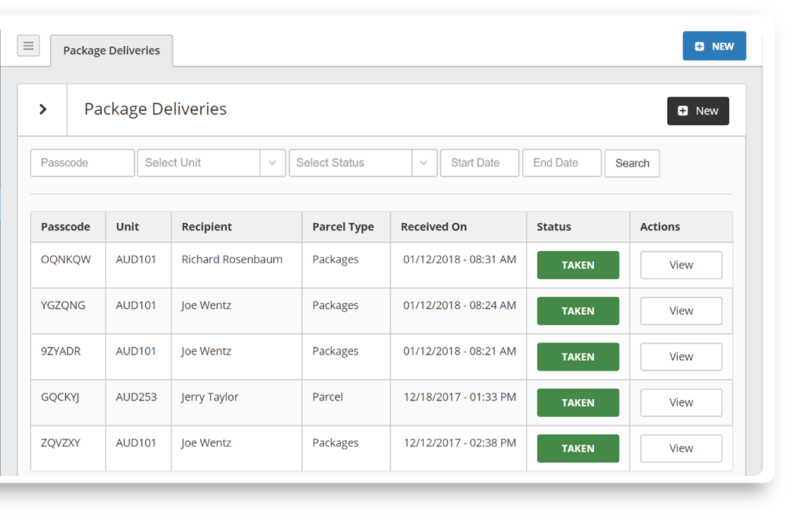 Receive and track package deliveries with ease. When a package arrives, residents are immediately notified via text or email with a secure passcode that’s used to claim their delivery. Your front desk stays organized, staff can focus on providing a welcoming environment, and residents are confident their deliveries will be secure. 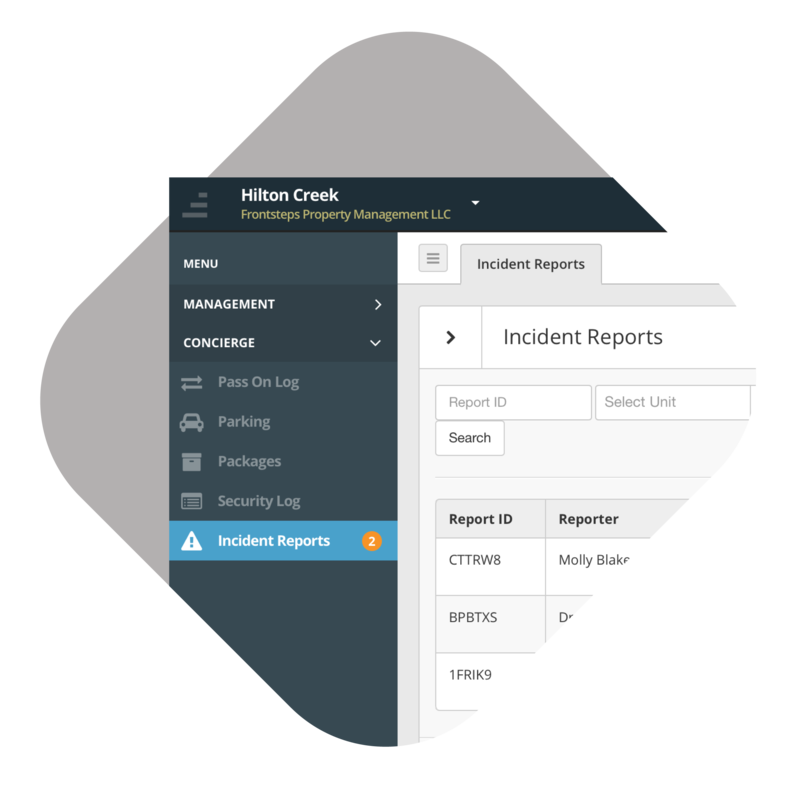 Security and staff can quickly complete reports that include details about incidents that occur in the community. Noise complaints, parking violations, lost items, and suspicious activity are easily logged in the system for record-keeping and reporting. Staff can upload photos or other attachments, add comments, and generate a printable .pdf for sharing. Share details of any events that occurred on condo premises with security and management office staff so that unresolved issues can be addressed by the next shift. Easily issue authorization or restrict visitors like dog walkers and other vendors. 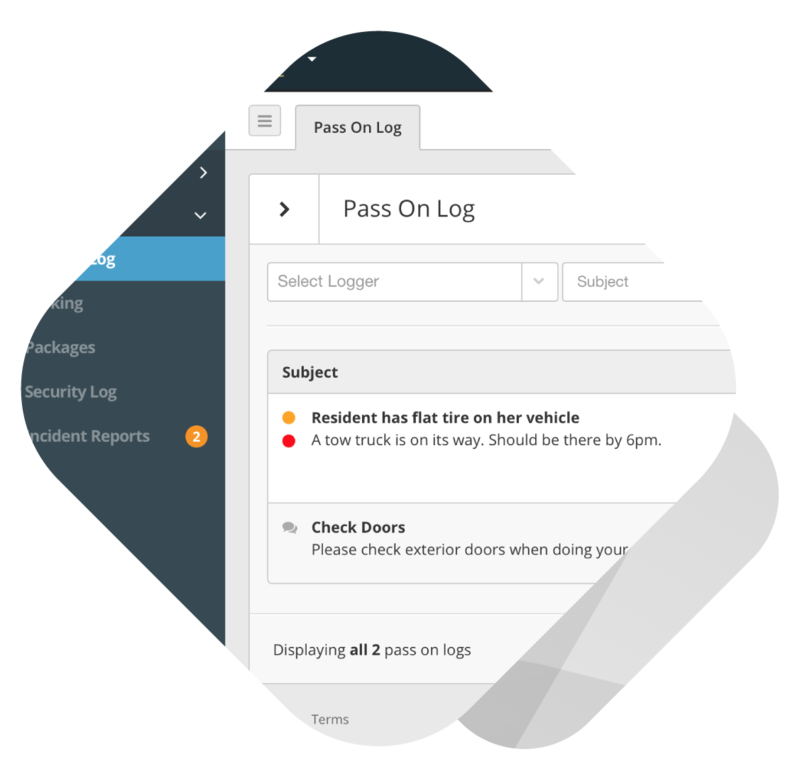 By keeping track of visitors and shift events, you’ll keep your community secure and running smoothly.